September 21st, 1999 the 1st International Day of Peace - we appeal to people all over the world to observe a minute of silence at noon (1600 GMT) of this day. In 1998 a 29 year-old actor decided to mobilized the whole world in a global ceasefire and non-violence for one day. Affected by images of destruction and violence everywhere in the world, Jeremy Gilley began to wander if “Is humankind fundamentally evil?”, and felt a desire to use his skills as a film-maker to solve this quest. 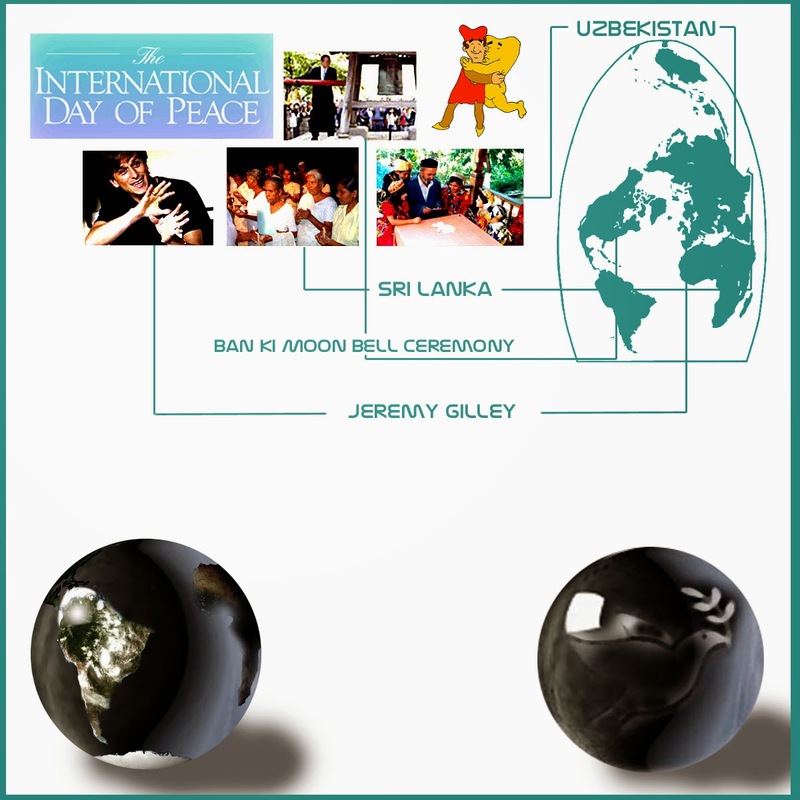 In 1999 Jeremy launched Peace One Day ( http://www.peaceoneday.org/home.aspx ) and choose September 21st to document his efforts to establish an annual Peace Day which has received support from media stars such as Annie Lennox, Angelina Jolie, Dave Stewart, Jimmy Cliff, Faithless, Neneh Cherry, One Giant Leap, Zero 7, Badly Drawn Boy, Joseph Fiennes, Sir Richard Branson and the late Mo Mowlam. In 2001, UN member states unanimously adopted the Peace Day resolution (UN GA 55/282) a day of global ceasefire and non-violence on the UN International Day of Peace, fixed as 21 September – Peace Day. From this day on governments from more than 194 countries, NGOs and most importantly individuals all over the world commemorate September 21st. Ban Ki Moon marked the 2007 International Day of Peace by appealing to people around the world to observe a minute of silence at noon (1600 GMT) on Friday. “I call for a day of global ceasefire: a 24-hour respite from the fear and insecurity that plague so many places,” he said at the annual ringing of the Peace Bell at UN headquarters. “I urge all countries and all combatants to honour a cessation of hostilities...I urge them to vigorously pursue ways to make this temporary ceasefire permanent,” he added. He also took the occasion to pay tribute to Italian opera legend Luciano Pavarotti, a UN messenger of peace who died September 6 of cancer of the pancreas.